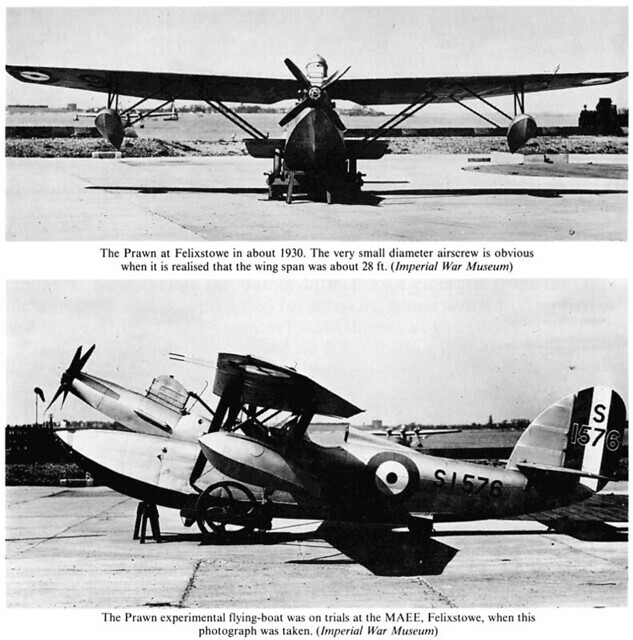 The Parnall story is unique in the history of British aviation; for some twenty two years the name of Parnall was to be associated with the development of a remarkable range of types yet none was destined to be built in quantity by its parent firm. If inventiveness and design quality had anything to do with it, Parnall aircraft should have achieved much more than fate bestowed upon them but the inter-war years were hard times for many aircraft firms and, for the most part, the designs never went beyond the prototype stage. Parnall and Sons of Mivart Street, Eastville, Bristol was a wood-working firm of note in the period prior to the First World War. 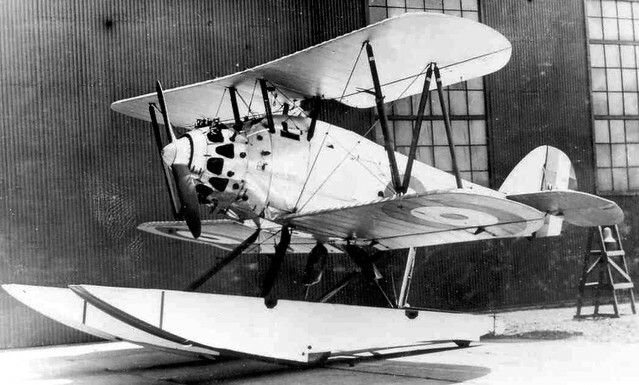 The demands of war brought many firms into the world of aviation that had no previous connection but Parnall was to receive large orders from the Admiralty for the production of aircraft designed elsewhere, principally Avro 504's and Short 827's. The quality of workmanship and enthusiasm for the new product did not go un-noticed and it brought an enquiry in 1916 for a design of their own to meet a requirement for a coastal defence aircraft. At that time the principal threat was seen as coming from Zeppelin attacks and a specially designed fighter would be needed to counter them. Parnall's first indigenous aircraft was the Scout: designed by A. Camden Pratt, it was a large, single seat, two-bay biplane powered by a 230hp Sunbeam Maori, with a centrally located fuselage and an upward firing gun mounted on the upper wing. It acquired various nicknames including "Zeppelin Chaser" and "Zepp Straffer" but the design was not a success as it was substantially overweight; it is believed that two flights were made before a stress check revealed unacceptably low safety factors and further work was abandoned. Aircraft production did not end with the Scout's demise as a batch of Fairey Hamble Babys were built and another enquiry came for a shipboard reconnaissance plane. For this work the Admiralty released the services of Harold Bolas, an engineer who had been instrumental in designing flying boat hulls. Bolas's first design for Parnall was the remarkable Panther; among its notable features was a birch ply monocoque fuselage of some depth with the pilot and observer placed high for a superb all-round view. The fuselage was hinged for shipboard stowage; for ditching the plane had a hydrovane ahead of the undercarriage as well as air-bag floatation gear. 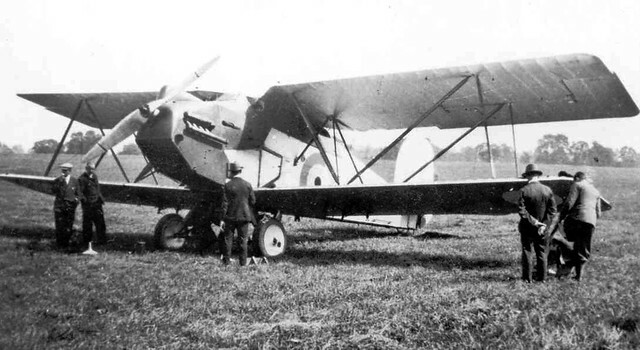 Official tests in 1918 were disappointing as performance was only marginally better than the 1½ Strutter which it was designed to replace but an order for 312 aircraft was placed with the firm. About that time Parnall and Sons was acquired by W. & T. Avery Ltd. who considered prospects in the aircraft industry poor with the ending of hostilities. An attempt by the Admiralty to reduce the order led to a disagreement with the result that Parnall ceased aircraft manufacture and production passed to Filton where 150 were built during 1919 and 1920. In service the aircraft performed well being described as delightful to fly with none of the vices associated with large rotary engines, however deck landing at that time was hazardous and the accident rate was high. Late production Panthers were fitted with oleo undercarriages and remained in service until 1926. Two aircraft were acquired by the US Navy and 12 were supplied to Japan. Despite this setback, the name Parnall was to reappear when George Geach Parnall formed a new company, George Parnall & Co. Ltd. with a handful of previous employees and opened the Coliseum Works in Park Row, Bristol in 1921. The first design, created by Bolas, was another naval aircraft: the Puffin (above). This was a large two seat, two bay amphibious biplane powered by a 450hp Napier Lion. The fuselage was mounted above a large central float which also had wheels that could be retracted through a vertical slot, large out-rigger floats were fitted on the lower planes. The observer was equipped with a Scarf ring and had an un-interrupted field of fire as the fin and rudder were mounted beneath the fuselage. Three prototypes were built but the aircraft was not proceeded with. More successful was Bolas' next design, the pretty Plover naval fighter: - a single bay biplane of wooden construction mounting a 436hp Bristol Jupiter IV. With the pilot placed high for a good view over the short nose and close-cowled radial engine it could almost have come from the Filton drawing boards. Amphibious wheeled floats were tested and one was fitted with a A.S. Jaguar radial. 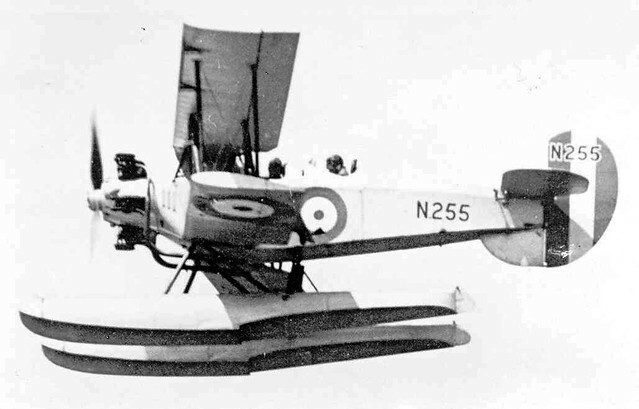 The Plover had a good performance but only six were built for service in 1923; the navy preferred the Fairey Flycatcher despite its lower speed and the Plovers were replaced. One Plover took part in the 1926 King's Cup race but failed to finish due to a broken fuel feed. Centrally mounted engines driving driving wing-mounted airscrews was a concept that was explored with the large four-engined Bristol Tramp, the twin-engined Boulton Paul Bodmin and the next design to emerge from Parnall: the single-engined Possum. Both the Tramp and the Possum were triplanes with twin tractor airscrews driven by shafts from the fuselage. The Possum was officially described as a postal aircraft - a curious designation for an aircraft having gun positions in the nose and amidships! It was, in reality, a concept demonstration machine. The centrally located 450hp Napier Lion engine had side mounted radiators which could be retracted in flight to provide some additional streamlining. The Possum fared rather better than the Tramp, which never flew, as it performed well in the air, making a public appearance at the 1923 Hendon Pageant. Despite having proved the practicality of its layout it was regarded as something of a curiosity by the pilots that flew it at Martlesham Heath. Experience showed there were insufficient advantages to make further development of this concept worthwhile. In 1923 the Daily Mail and the Duke of Sutherland sponsored competitions designed to stimulate light aeroplane development; Parnall entered a single seat low wing monoplane: the Pixie built in two forms with 13hp and 26hp Douglas engines. The Pixie won the £500 Abdulla Company prize for speed. The aircraft produced for the 1923 Lympne Trials were unrealistic machines being too low powered to be flown in anything other than dead calm and in 1924 the Air Council announced another competition for higher powered two seaters. 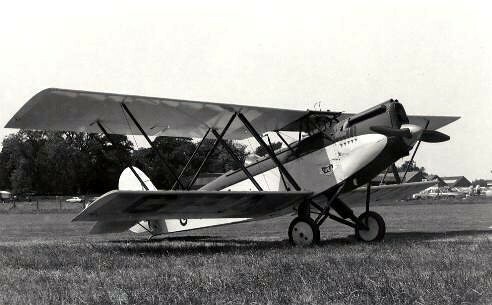 Bolas revised the Pixie to produce both a monoplane and a biplane with an upper wing; they were designated Pixie III (see the picture above) and Pixie IIIA, respectively and were powered by 32hp Bristol Cherub III's. Neither Pixie was successful in competition as both suffered forced-landings with engine trouble. The Pixie III was entered again in the 1926 Lympne Trials and was placed fourth. One Pixie airframe survived until at least the late 1950's. Naval interest continued with Bolas' next design, the Perch fleet aircraft trainer. 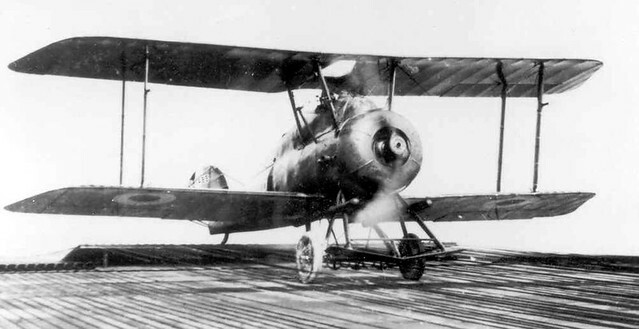 This was a dual role machine that could be used for training pilots in deck landing techniques or, when fitted with floats, was usable as a seaplane trainer. The aircraft was an equal span biplane that featured side-by-side seating and a 220hp Rolls-Royce Falcon mounted low in the nose to give the pilot an excellent view for landing. The Perch performed well but no production order followed. The Peto, submarine-launched floatplane, was amongst the most technically difficult tasks that Parnall took on. 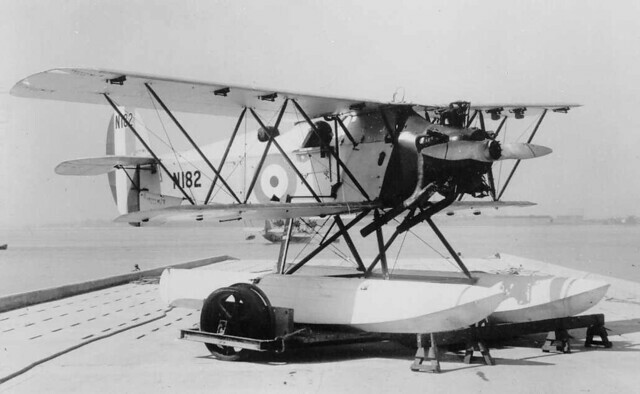 It was a two-seat reconnaissance float biplane of very small overall dimensions designed to be folded and carried in the confines of a submarine. 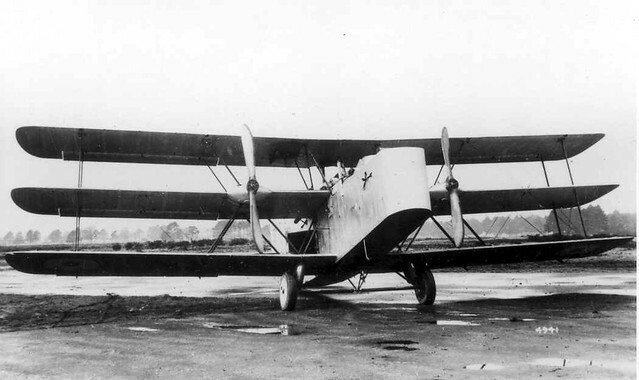 Of mixed wood, fabric, aluminium and steel construction, it had unequal span, warren-braced rectangular wings and the initial aircraft was powered by a 128hp Bristol Lucifer with mahogany plywood "Consuta" type floats. Performance on test was generally satisfactory but modifications were put in hand and the machine was rebuilt with new wings, metal floats and a 169hp AS Mongoose engine. Tests both on the sea and in the air showed that Bolas had fully met the requirements and it was officially judged to be exceptionally good; it was successfully catapult launched from the ill-fated submarine M2 but the concept of submarine carried aircraft died after the loss of the M2 which took with it one of the Petos. By the mid 1920's it was clear that an aircraft factory in the middle of a town was less than satisfactory where test flying was concerned, some of the aircraft having made their first flights from Filton. Accordingly a move was made to Yate, then in south Gloucestershire, where hangers were built beside a grass aerodrome. Rumour has it that things were so tight that George would only allow a central strip for the runway to be mowed as he needed the profit from the hay crop! New aircraft continued to emerge at a steady rate and Harold Bolas was to design two more naval types, the Pike and the Pipit. 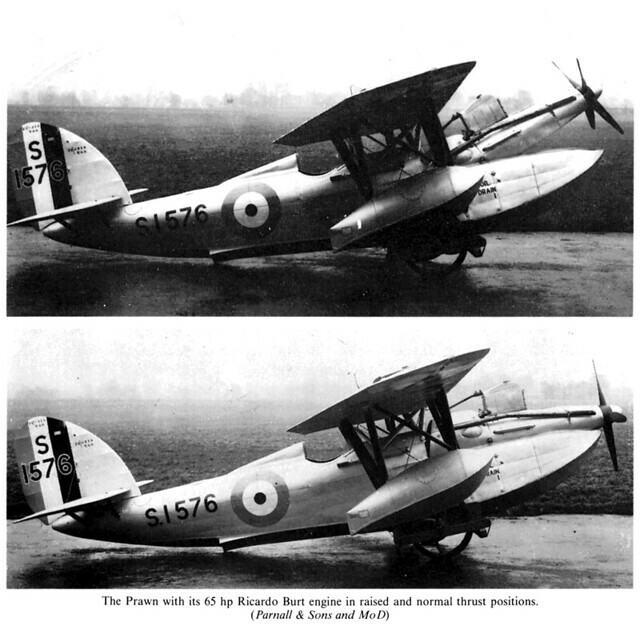 The Pike was a large three seat reconnaissance float biplane powered by a 471hp Napier Lion. The deep and narrow fuselage filled the gap between the back-staggered wings; the pilot's cockpit was placed well forward for an excellent view. Defence was provided by a Scarf mounted Lewis gun in the observer's cockpit at the upper wing trailing edge while the pilot had a forward firing Vickers gun. 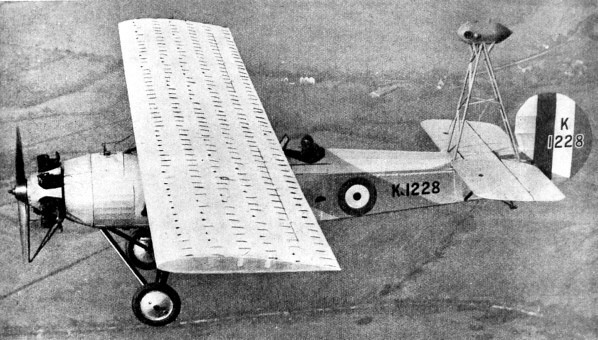 Trials of the single prototype were carried out at Felixstowe during 1927 but the report was unfavourable; the handling in flight was considered poor, the pilot's cockpit was criticised for being cold and draughty and performance generally below specification. Neither the Pike nor its rival, the Short Sturgeon, went any further. The Pipit was an aircraft of a very different character, a fleet fighter biplane of very clean appearance, designed to specification 21/26 and powered by a 495hp Rolls-Royce F.XI. Of all metal construction with fabric covering, the Pipit had a number of innovative features including detachable panels for easy access to the fuselage, a wide track undercarriage and a retractable radiator. 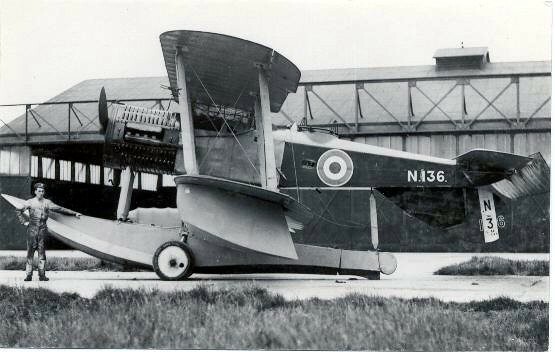 Two prototypes were ordered, the first flying from Yate in mid 1928 but despite its promising appearance and engineering novelty the Pipit did not perform as well as expected in the air, the elevator being criticised as heavy while the rudder was weak and the machine was felt to be unstable longitudinally. Before much development flying could be done, however, the tailplane failed due to flutter in a diving test on the 20th September; the pilot succeeded in landing the damaged plane but it was destroyed in the resulting somersault although the pilot survived albeit with serious injuries. 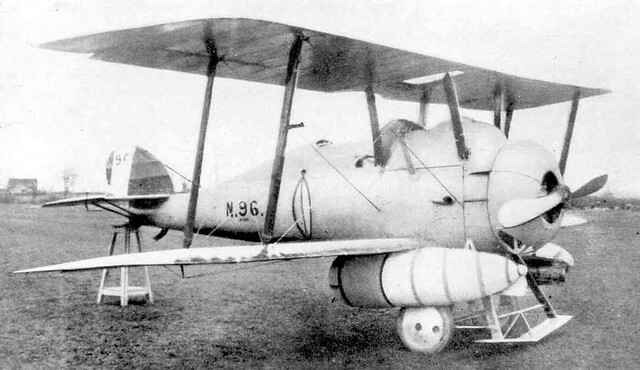 A second modified machine was built; powered by a Rolls-Royce F.XIIS, it featured a strut braced tailplane, ridgidly linked ailerons and a large eliptical horn balanced fin and rudder assembly designed to improve its effectiveness. It first flew in January 1929 and was an improvement over the earlier machine but the rudder was still unsatisfactory. On February 24th a test was made by a service test pilot; whilst investigating the rudder's properties in a series of dives, violent flutter developed and both the fin and rudder broke away. The machine became uncontrollable but luckily the pilot escaped by parachute below 1000ft. It was the end for the Pipit and it left a stigma in official circles from which Parnall never really recovered. Harold Bolas always maintained an interest in light aircraft and in 1927 produced a small two seat biplane: the Imp. Powered initially by an uncowled AS Genet II of 80hp, it was of striking appearance as it had a straight lower wing joined by wide chord struts without bracing wires to sharply swept upper wings. With the engine installation cleaned up, front cockpit faired over and a headrest fitted it flew into 8th place in the 1928 King's Cup race. At that time Parnall had thoughts of going into engine manufacture and collaborated with D.R. Pobjoy in the development of the 65hp Pobjoy P air cooled radial. This was first test flown in the Imp but Pobjoy decided to form his own company and collaboration with Parnall ceased. The attractive Elf was to be Bolas' last design for Parnall. It was a two seat touring biplane in the DH Moth class using fabric covered wood construction and powered by an ADC Hermes I. 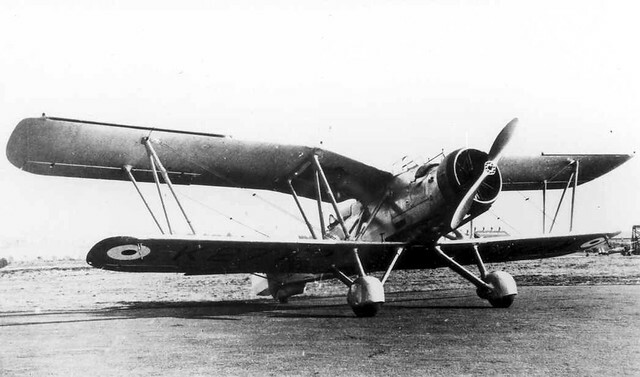 A naval influence showed as it used Warren girder bracing with folding wings and it first flew in 1929. A competent if somewhat uninspired performer, the prototype was sold to Lord Apsley in 1932 but it was destroyed in a crash in 1934. Two more were built as Elf IIs with ADC Hermes II engines, one was sold in 1933 but crashed due to fuel pump failure two months later but the second went to Lord Apsley as a replacement for the Elf I. In 1929 Harold Bolas, after some twelve years of trying to produce a winner for Parnalls, finally decided to leave for the attractions of the USA. An enthusiastic and respected designer, he was highly regarded for the originality of his designs and was a skillful theoretician. He was not above test flying his own creations, suitably fortified after a visit to the nearby Railway Inn! It is a fitting tribute to his work that one of his Elf biplanes should survive to this day, still flying and entertaining the Shuttleworth crowds. With Bolas' departure he was succeeded by H. V. Clark who produced two interesting research aircraft, each built to test a specific aspect. 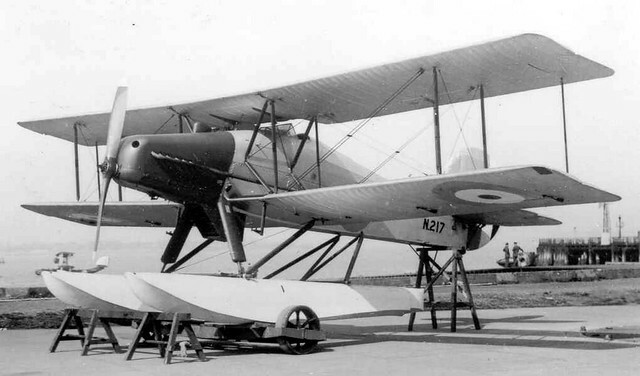 The first was the Prawn, a small single engined, single seat parasol flying boat powered by a 65hp Ricardo-Burt engine. It was designed to assess the feasibility of mounting a flying boat's engine in the extreme bow thereby producing a low drag installation. To make this feasible a very small four bladed propeller was needed and the engine could be tilted up to 22 degrees upwards to avoid the spray over the nose. It never was a very practical idea and it seems that little was done with it. More useful was the Parasol of which two were built. This machine was a flying full-scale aerodynamic test vehicle, it could test the effects seen in wind tunnel tests but without the effects of scale inherent in a tunnel. 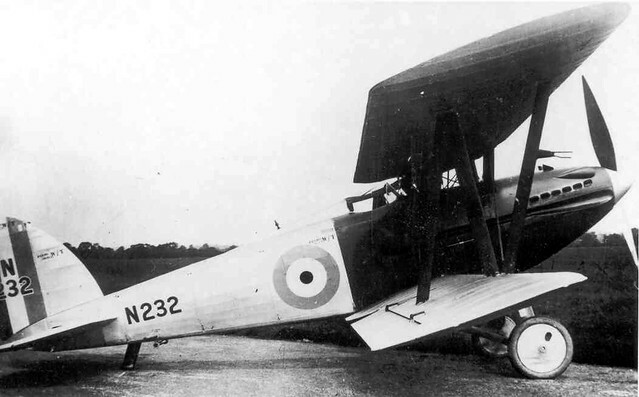 It was a two seater, the observer occupying the front cockpit which was equipped with a dynamometer for measuring flight loads on the variable incidence wings which featured slots, flaps and separated ailerons. To eliminate the effects of the propeller, the A.S. Lynx engine could be stopped in flight for gliding then restarted with a gas starter. A camera could be mounted on struts above the tailplane and this was used for photographing wool tufts that showed the airflow patterns over the wings. The two aircraft went to Farnborough in August and October 1930 where they were used for nearly 6 years: wings of various serctions were tried including an Avro-built wing with Zap flaps that were similar to Fowler flaps but found to be less efficient. The interwar years produced a series of requirements for "general purpose" aircraft; in those miserly times this was a cheap way of providing the Air Force with aircraft that, it was hoped, would be of some general use if hostilities arose. Specification G.4/31 was no exception, conceived as a replacement for the Westland Wapiti and Fairey Gordon, it called for day and night bombing, reconnaissance, torpedo carrying and even dive-bombing although this was later deleted. Designs came from Handley Page, Vickers, Fairey, Armstrong Whitworth and Parnall with what was to be the final expressly military type, the un-named G.4/31. This was a large angular biplane with gull-type upper wings, wheel spats, a good collection of interplane and fuselage struts and very generous tail surfaces. Power came from a 690hp Bristol Pegasus I M3 in a Townend ring, there was a forward firing gun for the pilot and the observer had a Scarf mounted Lewis gun; flight tests were carried out during 1935 from Yate. 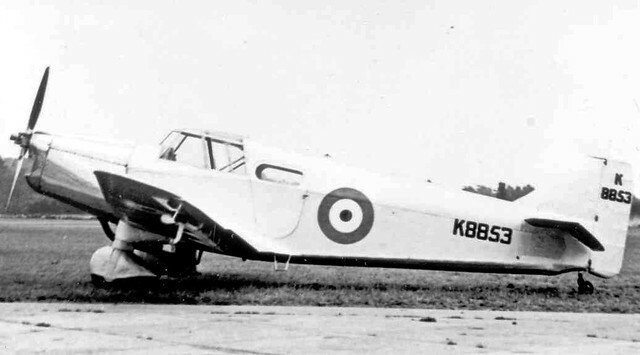 It is believed the that aircraft had handling problems, for it was not delivered to Martlesham Heath until early 1936, long after the competition had been decided in favour of the Vickers 253. The machine was used for armament trials until March 1937 when it was damaged in a crash and subsequently scrapped. 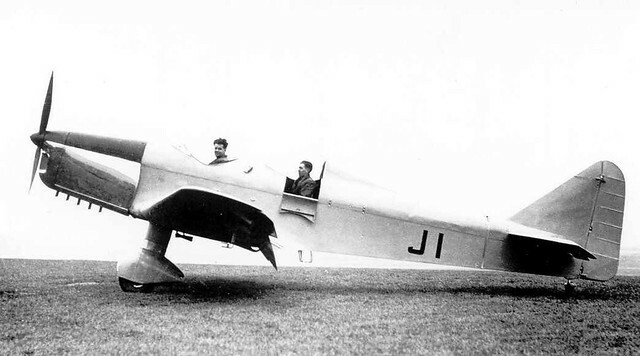 In 1929 Parnall built a cabin monoplane called the Hendy 302 to the design of Basil B. Henderson who followed it with another monoplane, the advanced Heck (above). 1935 marked a major change for Parnall when the firm acquired the assets of both Hendy Aircraft Ltd. and the armaments firm of Nash and Thompson. A new company called Parnall Aircraft was formed and the Heck passed to Parnall ownership. Renamed the Parnall Heck it set a new record for the run from Cape Town to England of 6 days, 8 hours and 27 minutes in November 1936. 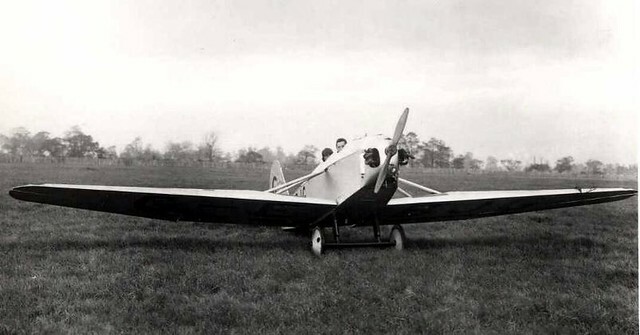 A three-seat derivative with a fixed, spatted undercarriage, powered by a Gypsy Six was produced as the Parnall Heck 2C. Six were laid down in expectation of sales but none attracted an order and the first four were to be used as communications aircraft by Parnall in connection with their armaments activities. 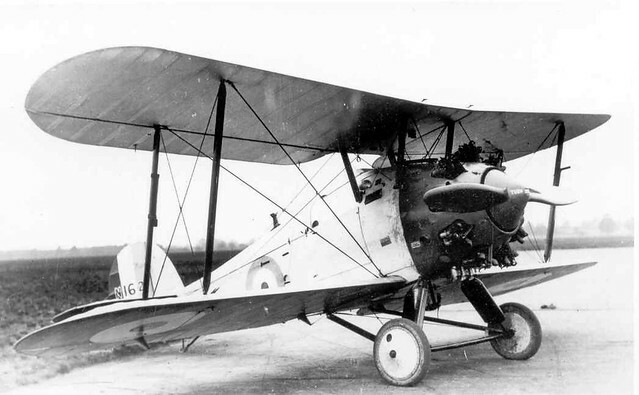 The fifth and sixth aircraft were used for test flying the Wolseley Aries radial engine and gun sight development work. The final Parnall aircraft was a open two seat trainer derivative of the Heck to specification T.1/37 and called the Parnall 382 or the Heck 3. It featured the Heck's advanced wing and had a speed range of 139mph to 43mph, it made its first flight in 1939. At Marlesham Heath it was pleasant to fly assessed as generally good as a trainer and, with a number of modifications, was acceptable for service but sadly for Parnall no order was forthcoming. It was to be the last Parnall machine to fly, for after that Parnall turned to the vitally needed gun turrets of Archie Frazer-Nash's design which occupied the Yate factory throughout the war. With the war over, Parnall was to become a household name through its famous washing machines and later the Jackson range of cookers. One would doubt that George Parnall and his little group could ever have envisaged such a future when for over twenty years they strove to give Bristol another aircraft company whose name would be as famous and as proud as its bigger neighbour. That Prawn is an interesting attempt at a more streamlined FB. It seems like it worked about as well as one might expect. Very interesting finds, lord_k. Sorry, Andy - don't know much about Lord Apsley. Interesting article from the days when new and different aircraft types came out in huge numbers, as opposed to today when the requirments from aircraft are such that you get a new type every decade after years in development...and which looks pretty much like all the others!